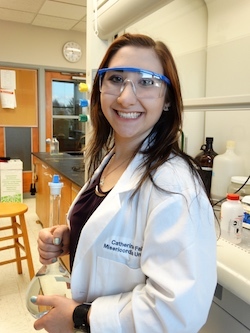 Welcome to the Chemistry and Biochemistry Department Website at Misericordia! Chemistry and Biochemistry strives to engage students in teaching and research activities from the moment students arrive on campus. 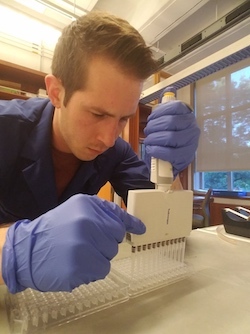 Recent graduates have experienced success in moving onto Ph.D. programs in the biomedical sciences and chemistry related programs, teaching positions, professional school, and a range of industrial positions. We take pride in our small class sizes and strong faculty-student interaction in the classroom and in research projects. 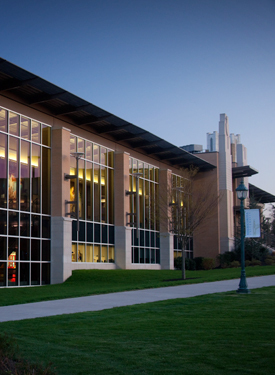 The department’s faculty are well-published scholars with extensive teaching experience and focus on individual mentoring and faculty-supervised research. 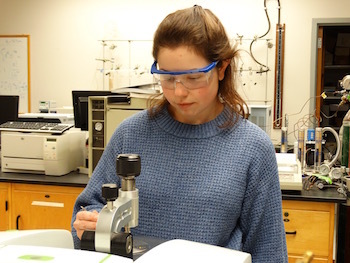 The Chemistry program integrates mathematics, physics, and chemistry courses, allowing students to explore upper-level courses in the fundamental fields of chemistry. 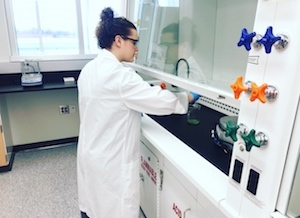 The Biochemistry program reflects the fusions of the fields of chemistry and biochemistry, and integrates both the biological and chemical sciences into its curriculum. These programs have prepared students for entry into professional school, graduate school, and employment in the pharmaceutical sciences. Students will have the opportunity to conduct research projects, publish with faculty, and present at conferences nationally. Minor in Chemistry is most often selected by biology majors, but is appropriate for any student with an interest in the physical sciences. Majors in Business, English or Pre-Law, for example, may find a background in chemistry useful in such specialties as patent law or scientific journalism. 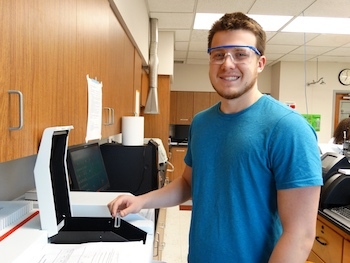 "The chemistry program at Misericordia has a great family atmosphere. The faculty truly care about the success of all of their students and they all go the extra mile to ensure every student has a great educational experience here at Misericordia." "Working in a research group prepared me for the national conference I attended and made talking to colleagues in my field easier." 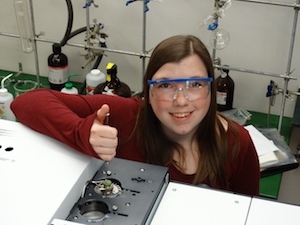 "The Summer Undergraduate Research Fellowship (SURF) program allowed me to conduct research and expanded my ability to think abstractly and critically. This research was accepted to present at the American Society for Cell Biology 2018 Meeting in San Diego, California." 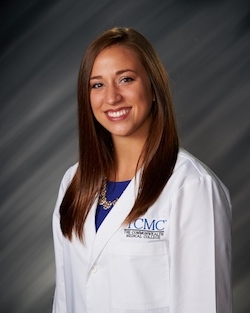 "During my time at MU, I have been involved in many experiences that have set me apart in my endeavors and supported my goal of becoming an optometrist. With the help of my professors, I participated in researchthat I presented at the ACS National Conference in New Orleans, Louisiana." "Not only do I think this undergraduate research experience will help me get accepted to law school but will make me a better lawyer once I am in the field." 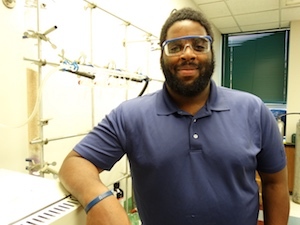 "I have experienced the personal attention and support that I believe are staples of the Chemistry major. We are all a family; and this leads to success." “Everyone in the chemistry and biochemistry department at Misericordia University truly wants you to succeed. The professors get to know you and your future goals. They make sure that they provide you with the support and resources you need to achieve that goal. From my very first semester at MU, I knew that if I ever had questions or needed advice I could go to my advisor or one of my professors and they would help. Their continuous support throughout my undergraduate education helped to turn my dream of getting into medical school a reality! “One of the most influential aspects from Misericordia University that aided in my graduate school applications was the opportunity MU provided to be highly involved, both on a personal and professional level. 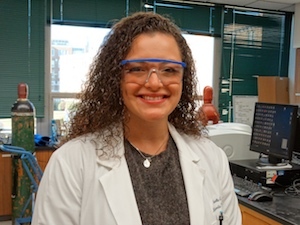 Misericordia’s biochemistry program allowed me to gain first hand experience conducting research, writing grants, presenting posters/professional talks and attending conferences such as the American Chemical Society (ACS) national meeting. Conducting research and presenting your data is crucial to any graduate program. “The chemistry department faculty are just wonderful! They provided myself and my fellow chemistry majors with all the tools we needed to succeed both in scientific careers and in our lives. The faculty not only knew our names, but they knew our stories. Misericordia is more than a university, it’s a family. When I think of the professors in the chemistry department a few words come to mind - supportive, engaging, caring, kind. I received a Bachelor of Science in Chemistry with a minor in Mathematics from Misericordia but perhaps even more importantly, Misericordia changed my life. I received more than a B.S., I grew leaps and bounds in confidence, poise, and self-assurance.